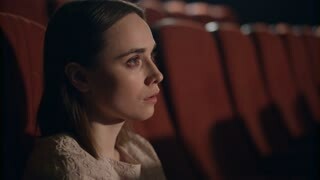 Search Results for "sad woman crying"
Sad woman crying with napkin. Side view. Green hromakey background for keying. 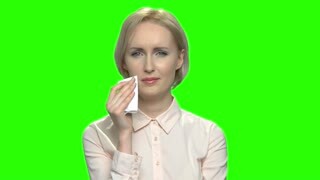 Woman wipes her tears with a handkerchief. 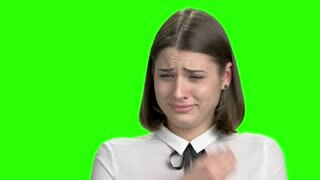 Sad frustrated woman crying with napkin against green hromakey background. Middle-aged business woman is crying. Crying smart business woman wearing elegant shirt. Blurred office background. Sad disappointed expression. Portrait of sad crying mature business woman. Green hromakey background for keying. Sad senior woman sit on the sofa, crying and wipe her tears from the face. On the background her daugher and dranddaughter happy playing in the kitchen table. Blond woman crying with big tears expressing failure. Suffering from depression, anxiety, sadness, crying, tears coming from her eyes. Green hromakey background for keying. Portrait of sad senior woman with gorgeous long dark hair leaned on the table indoors close up. 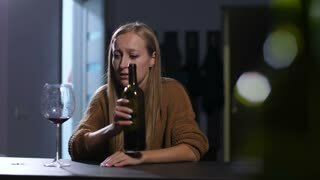 Lady is crying, she takes glass and going to drink wine. 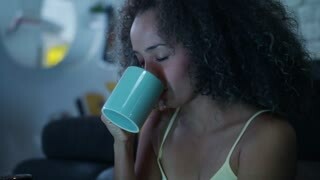 Lonely beautiful woman after divorce crying and drinking wine to releive emotional stress and pain. 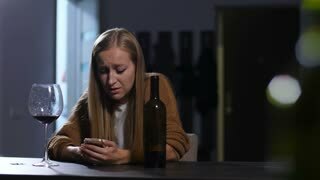 Depressed sad female with glass of alcohol beverage in tears sitting in loneliness in dimmed room. Sad woman crying with handkerchief. Side profile view. Green hromakey background for keying. Close up portrait beautiful sad crying woman. Green hromakey background for keying. Portrait of young crying girl. Sad woman weeping with handkerchief. Green screen hromakey background for keying. Tip view of sad woman falls face down on the bed. Crying girl shaking head and pulling at hair with anger.